The new season chart comes out and anime fans rush to blogs, forums, twitter, IRC, clubs, and anywhere and everywhere else otaku go to discuss their hobbies. They talk about what shows will be horrible and which shows hopefully meet their expectations. But it seems that no matter what they make, everyone will always discuss one studio and oddly enough usually in glowing terms. This studio is Gainax. 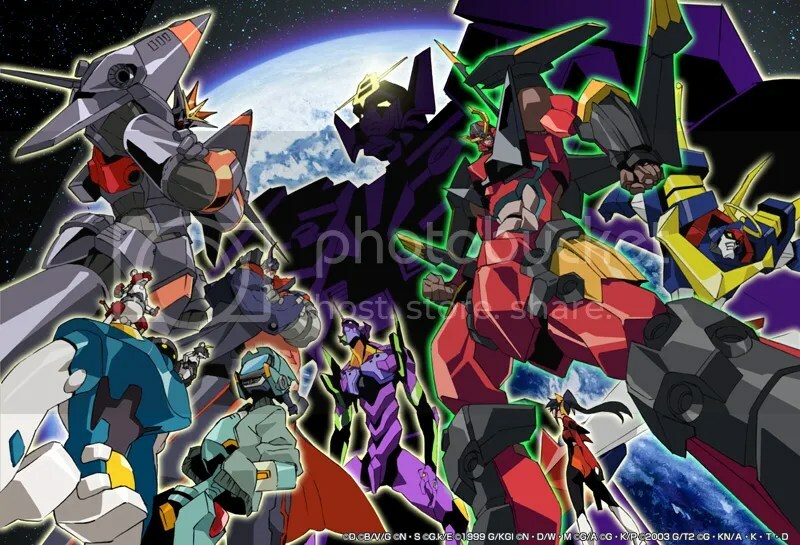 Why does Gainax get this free pass from a fandom known for bitterness and pessimism? Does Gainax deserve this lofty status? Also why does everyone forget they made He Is My Master? Are they repressing painful memories? Properly chill 1 cocktail glass. In mixing glass with ice, pour gin and absinthe, and stir. In your cocktail glass, roll 1/2 oz of dry vermouth and throw away the excess. Strain other ingredients into cocktail glass and float 1/2 oz of grand marnier over top. Garnish with orange peel. AX Alternative Manga Vol. 1: Like Ramza Beoulve we are Heroic Heretics. First, from an ANNCast, there is still a bit of a format mess for digital distribution, and supporting multiple formats is time consuming ~ where time=$$$ ~ especially when it comes to eReaders. The various eReaders may *support* formats like pdf, but getting the sharpest image may require different resolutions for different eReaders. Second, the eManga is the only online reader that is both easy and readable on my netbook, since it has panel by panel paging, and if your zoom means the panel does not fit in the screen, text bubble by text bubble pan across the panel. I expect that is targeted at smartphone users, and working for netbook is a side-effect.